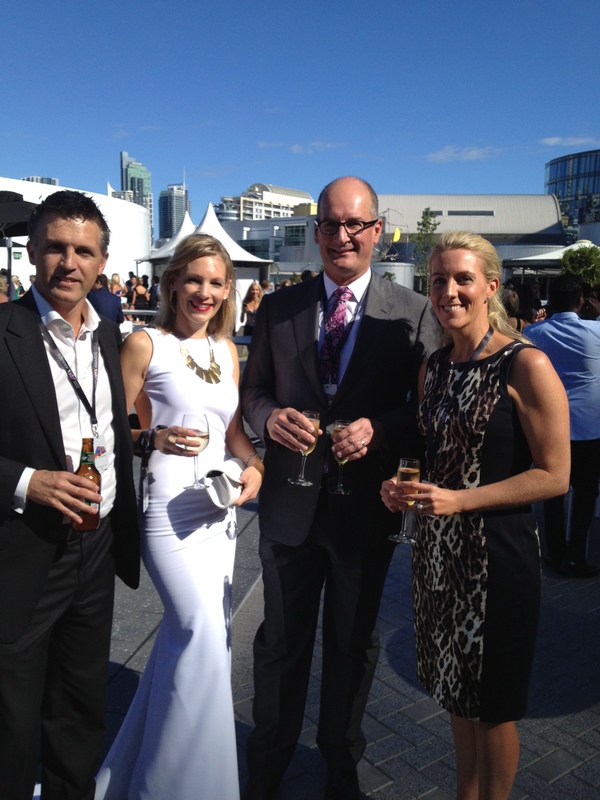 My husband Sean and I were lucky enough to get invited to this years ARIA awards night in Sydney. For those of you overseas the ARIA’s is the night of nights in the Australian Music Calendar, and always has a long list of celebrities strutting their stuff on the red carpet. I must confess, I’m not a muso, I enjoy listening to the radio, mostly Smooth fm, which lets face it, isn’t a “cutting edge” station, and I watch the occasional music video on Rage at the weekend. But it took a writing friend of mine to let me know that Lorde, and Flume were both going to be there, giving me enough time to google them and get a vague idea of who they were. This was fortunate, as whilst we ambled up the red carpet, Lorde stood there being jostled by the paps, trying to persuade her to smile, and definitely not succeeding. After walking the carpet we were taken to a beautiful roof top terrace and left to enjoy a glass of bubbles whilst trying to work out, who, of those around us, were ‘someone’. We spotted Kochie from channel 7 and wandered over for a chat and a photo. We asked a lovely young guy to take the pic. It was only when we were sat watching the awards being presented that we realised, that very lovely young guy who was so obliging and took such a great happy snap, was actually presenting an award himself. We then watched as young person after young person that we’d seen on the terrace – but not recognised, took to the stage, to sing or accept an award.